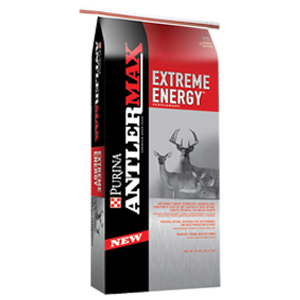 BUCKS: Feed year-round between 1/4 to 1/2 lb per day to support body condition during the rut in Fall and Winter and antler growth in Spring and Summer. DOES: Feed year-round between 1/4 to 1/2 lb per day to support body condition during the breeding season in Fall and Winter and lactation period in Spring and Summer. FAWNS: Feed about 1/4 lb per day after weaning during growth season.